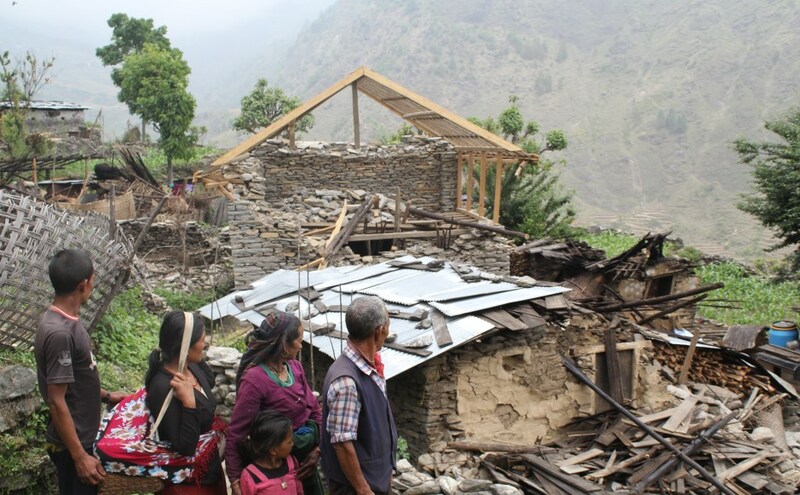 A group of ministers and elders are travelling to Nepal today to see the “difference” that £310,000 raised by generous Kirk members has made to efforts to rebuild lives shattered by an powerful earthquake. The 18-strong delegation said they were “really looking forward” to visiting the Dhading region of the South Asia country which was devastated nearly three years ago. Douglas Willis, an elder at Fortrose and Rosemarkie Church, on the Black Isle on a previous trip to Nepal. The earthquake had a magnitude of 7.8 and about 9,000 people died, 22,000 were injured and around 800,000 buildings were flattened, leaving millions of people homeless and livelihoods ruined. Kirk members across the country have thrown their support behind the World Mission Council’s “Let us Build a House” fundraising campaign. The initiative was started after a Nepalese man told the Church of Scotland’s General Assembly of 2015 about the devastating impact the earthquake, which struck between Kathmandu and Pokhara on April 25, 2015, had on his country. It lasted just 45 seconds - the time it would take to sing a verse of the Hymn, Let us Build a House. Presbyteries and Congregations were initially set the challenge of raising £25,000 to help rebuild communities - houses, schools, bridges, paths and water and electricity supplies - under the banner of £500 can raise a simple village house. But the campaign captured the imagination of big hearted Scots and thanks to a wide variety of fundraiser events and donations, the total raised has exceeded £310,000 and growing. 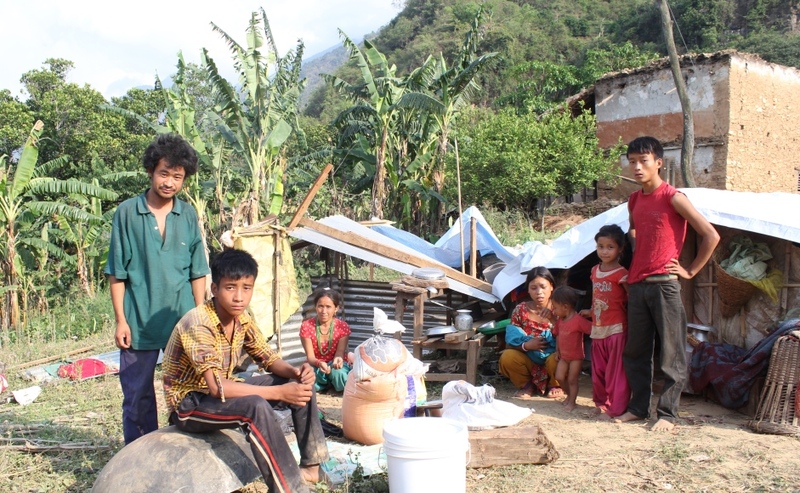 The money has been given to the Church’s partner organisation, United Mission to Nepal (UMN), which is coordinating re-building efforts in the Dhading region. The delegation will meet UMN representatives and see some of the work undertaken. Nepal was rocked by a powerful earthquake in April 2015. 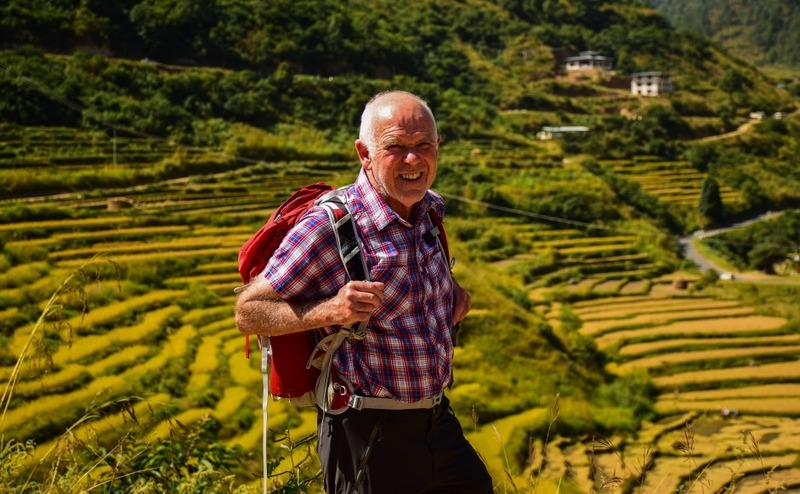 Douglas Willis, an elder at Fortrose and Rosemarkie Church on the Black Isle, will trek to north Dhading to experience the remoteness of some of the people with whom UMN works and see the difficulties in reconstruction in areas where there are no roads. The retired teacher, who has visited Nepal before, said “As a geographer, and no doubt because I've lived in the Highlands for so long, I've always been interested in the communities who live and work in mountain areas. “I'm really looking forward to trekking to some remote communities to speak with the people and see the reconstruction that has made a difference to their lives. Nestled between China and India, Nepal is home to Mount Everest, the highest mountain in the world. Many of the country's historic sites were severely damaged, including temples and monuments, in the earthquake, which generated tremors felt in Pakistan, Bangladesh and India. Thousands of people in Kathmandu, the capital of Nepal, had to sleep outside and water and electricity was in short supply. The Nepal government asked for help from other countries. The earthquake had a magnitude of 7.8 and about 9,000 people died, 22,000 were injured and around 800,000 buildings were flattened. Rev Stuart Duff, minister of Birnie, Pluscarden linked with Elgin High Church, is also part of the Church delegation. He said: "I'm really looking forward to being part of the trip. “It will give me a chance to see how funds from Moray Presbytery are helping people rebuild their lives and to hear their stories of faith and resilience after the earthquake three-years-ago". 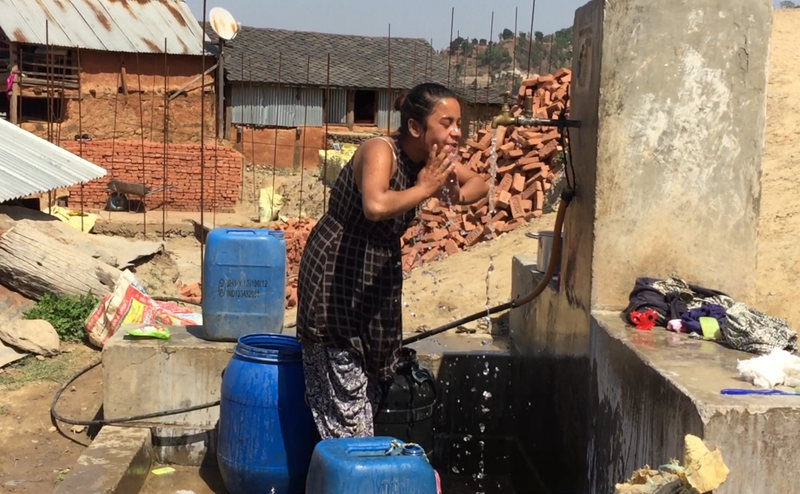 While some delegation members are trekking, others will visit UMN projects in south Dhading, backed by the Church of Scotland, which raise awareness of human trafficking, HIV and climate change. They will also meet and worship with the growing Christian community. 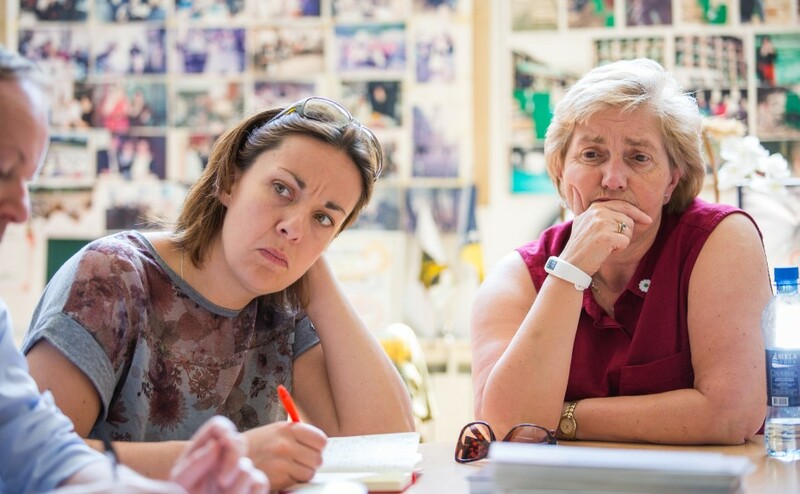 The members of the group are expected to come back to Scotland and to share with others their experiences and the stories of the people they meet. Rev John MacGregor, minister of Cadder Parish Church in Bishopbriggs, East Dunbartonshire is travelling with his wife Susan. He said: “We were delighted that the Church of Scotland started the ‘Let us Build a House’ campaign and we witnessed some sacrificial giving from members within the church. Mary Kerr, an elder at Carrick Knowe Parish Church in Edinburgh, said it was a “privilege” to go to Nepal. “Nepal is a beautiful country with kind people who share what they have,” she added. Glynis Cambridge, Session Clerk/Treasurer of Liddesdale Parish Church in the south of Scotland, said she hoped to gain a better understanding of the work of the UMN and how the Church of Scotland can “walk together with them and give support when is needed”.